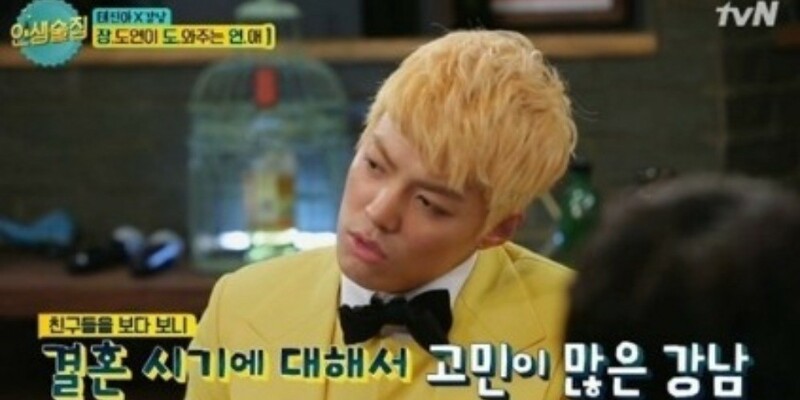 Kangnam talked about his concerns about marriage. On the May 17 airing of tvN's 'Life Bar', Kangnam revealed marriage is one of his latest concerns. He said, "A lot of my friends got married in their early 20s. But many of them also got divorced. Two more are getting divorced next week." He continued, "So I'm afraid that I might regret it if I get married early." Heechul commented, "It could also be very rude to the fans if an idol gets married."